If you have landed on this page, you are probably here because you’ve either read about my travels or life abroad as an expat or you’re interested in learning how I live my life abroad with chronic illness and immense health challenges. Either way, I’m glad you’re here, and I hope I can answer questions for you if you or someone you know is chronically ill.
A chronic illness is a health condition or disease that is long-lasting or persistent. A patient is deemed to have a chronic illness when the condition or disease lasts more than three months. I’ve been a chronic illness advocate since 2009. I’m a Canadian expat living in Taiwan with Ankylosing Spondylitis, Fibromyalgia, and Myalgic Encephalomyelitis, among other health issues. 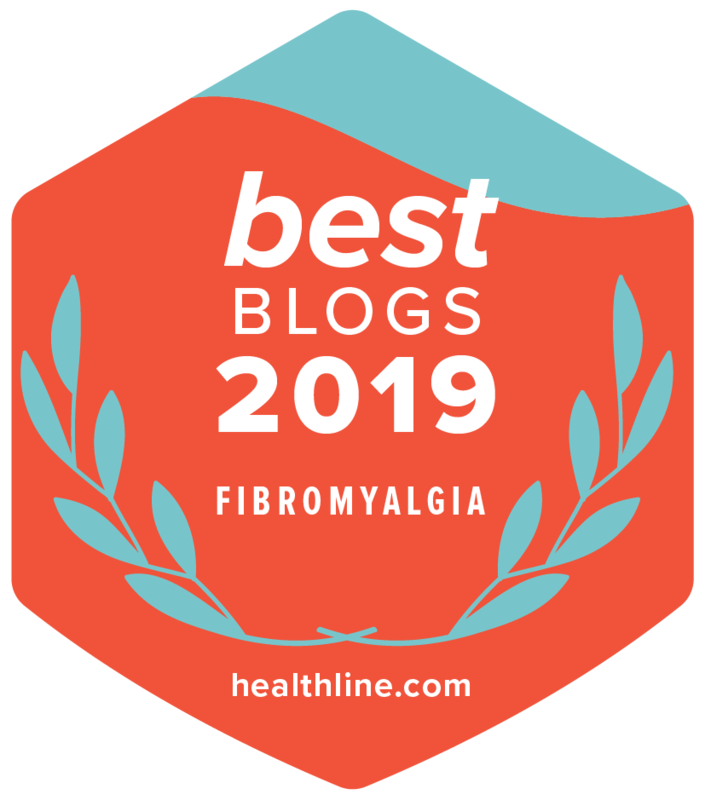 I write about my illnesses and advocacy work on many health sites, including my site, My Several Worlds, a Best Blog for Fibromyalgia in 2018. I am a patient leader and captain of The Walking Spondies for Walk Your AS Off. I’m also a Founding Director for Walk AS One, a 501c3 non-profit in the US. Living life passionately with limitations from chronic illness takes more than many of us might have to give. My illnesses have shaped my worlds and have inspired me to support others in similar situations. I’ve been sick for as long as I can remember. I was the kid in school with the never-ending ear and throat infections. If someone had a cold, I always caught it. I was allergic to everything! Dust, pollen, feathers, grass, nickel, you name it, I reacted to it. I remember endless childhood visits to Dr. White’s office for allergy shots, ear infections, and everything else that came my way. Believe it or not, the ear infections have never left. I found out at age 38 that my ear infections are related to my fight with AS. Despite having a weak immune system, I was very athletic in high school and throughout university. I excelled at sports in high school, and my love for yoga, running, weightlifting and dancing didn’t end until I was 36. I stopped doing all of those things at age 40 because I can’t do them anymore. Now I’m 43. Giving up my love for athletics is one of my biggest losses from being chronically ill. I knew in 2015 that there would be days I’d have to use a wheelchair, but I never dreamed I would be dependent on a wheelchair as much as I am. I never thought I’d lose the use of my legs. My doctors in Canada never took my complaints about pain seriously. They always wrote it off to overexerting myself at the gym. There was no alarm at the sight of large swollen joints that were hot and red. They weren’t concerned about recurring infections and rashes or the back pain I had been experiencing since my early 20s. The aches and pains continued to come and go when I moved to China in 2003 and then to Taiwan in 2006. In China, I had days when I couldn’t lift my left arm. That has never stopped happening. I lose all of the strength in my arms and legs now and it feels like my limbs have dislocated. During my time in China and Taiwan, my pain was bad enough that I sought assistance with non-traditional methods of pain relief, including Reiki, massage, acupuncture, Traditional Chinese Medicine, cupping, acupressure, and scraping. I was in and out of the hospital all the time, but no one ever had any answers for me. A few weeks before my wedding in 2008, I had a flare that lasted about a week. I couldn’t put any weight on my foot because of pain. It felt like walking on glass. I was on full bed rest the week leading up to my wedding with no idea we would find out how much bigger this really was until two months after our wedding day. Two months later, we were back in the hospital again in Taiwan. John took me to ER with large swollen knees that looked like grotesquely misshapen. Both knees were aspirated. The doctor took one look at me and immediately referred me to the Internal Medicine Department at National Taiwan University Hospital. I had my answer within a week. I was diagnosed with Ankylosing Spondylitis in February 2009. We didn’t know then what it would turn into years later. My first severe AS flare took most of the year to recover from. I was in a wheelchair and using a cane for six months after my first flare-up in 2009. My flares always include excruciating pain in my hips and legs. My knees swell up and go down. I wrapped them to help the inflammation throughout the summer although we managed a trip to Singapore in June as a belated honeymoon trip. The was the first time we had to plan our travels around my illness. We paid extra to stay in a nice place with easy access to everything. We couldn’t do much on that trip, and that was my first taste of telling John to go and do something without me. I stayed indoors for the rest of the summer with my legs elevated and wrapped in ice. I very rarely left home and whenever I put weight on my feet and legs, it felt like my legs would snap in half. Sometimes my legs would give out for no reason. There were many days when I simple stayed home because I was scared my legs would not support me. I used a cane for the remainder of 2009 because of the trauma to my knees, hips and, feet. I also experienced burning nerve pain that started that summer and that has never gone away. That pain is with me every single day of my life. My next big flare happened at the airport before we were boarding our flight to Hong Kong. I was fine on the way to the airport. By the time we got there, I had that heavy cement feeling in my legs again and by the time we reached the gate to board, the staff had wheelchair assistance for me. They also called through to Hong Kong and had flight assistance waiting for me at the end of my one-hour flight. John pushed me around Hong Kong in a wheelchair that weekend and I came home early while he and my son and mother-in-law toured the rest of Hong Kong and China without me. I’ve tried dozens of NSAIDS and DMARDS which are the first line of defense for patients in the early stages of AS. The issue with me, of course, was that I had been presenting symptoms of AS for a full 10 years before they figured out what was wrong with me. The damage was already done by the time we learned what was going on. As soon as I was off my cane that summer, I was back at the gym three to four times a week, pushing through the pain and fatigue, and working myself to the bone by taking on too many challenges and doing too much at work. I was stressed to the max and didn’t realize it until it was much too late. I developed severe foot pain. I thought it was from wearing high heels, but then I realized one day that the pain never really stopped. It wasn’t the heels. It was me! Since then, walking has always been painful. It feels like I’m walking on glass all the time. Some days, I stay in bed all day. I crashed again hard in late 2012. That flare lasted over a year. I spent hundreds of dollars seeing traditional Chinese medicine doctors to find relief; I tried bloodletting and more cupping. I went to see a traditional Chinese medicine doctor for acupuncture and Chinese medicine. He was famous for curing patients with cancer and he home-brewed a medicinal tea for me that I took for eight months. It made me violently nauseous. I’m also pretty sure it made me worse, because that’s when my stomach issues began. Within months, the doctors had added IBS to my list of developing conditions. Nothing could stop the avalanche of fatigue and pain that was pounding away at my body in relentless and never-ending waves. I tried endless combinations of medications. Some made me gain weight, some made my hair fall out, some of them made my nails so soft and thin, it was a wonder I kept most of them. All of these medications came with serious side effects that I experienced and that were very traumatic to deal with. Then suddenly, I stabilized and I regained my strength and I achieved remission for a brief period of time. I felt like me again. I slowly started exercising again and adding new activities into my lifestyle, and for a while, I was successful and in great shape. Soon enough, I’d overdone it again. Another bitter lesson I learned about my new normal is that it’s easy to overdo things when you’re chronically ill. If you’re still with me, stop and think about it. It means I woke up one morning and found out I was never ever going to get better. Imagine waking up every morning and not being sure if you have the strength to go to the store, take a shower, or even eat. It means I have to be vigilant about everything that I do now. June 2014 – My biggest and longest-lasting flare to date. I’m still in it. It’s now May 2018. I don’t think this is a flare anymore. I think this is my new life. It started at an all-day outdoor event in Taiwan in the heat and humidity in July 2014. I underestimated how much that day would affect me. Then I didn’t give myself time to rest and recover from the day. Instead, I chose to fly home to Canada a month later for vacation. I went into a severe flare two hours into my trip. The airline screwed up my flight assistance request in Hong Kong, and I ended up walking to get from one gate to the next to catch my connecting flight. The wheelchair arrived five minutes before we hit security and by the time I boarded the plane, the damage was done. There was a massive storm brewing in my body and nothing was going to stop it. I could barely walk; it hurt to sit and it was torture to stand. I was crammed into an economy-plus seat and thought I was going to die from the pain on that flight. I had no energy and by the time I arrived in Canada after 30 hours of flying, I was very ill. My parents brought me home from the airport and I didn’t have the strength to sit up in the car. I laid flat on the back seat the whole way home, biting my lip and trying hard not to cry out from the pain. I spent most of that summer lying in a bedroom at our cottage watching my mom make dinner and knowing that I didn’t have the strength to sit up and eat with them. I could barely walk for more than 5 minutes without getting dizzy and fatigued. I have learned to hate travel of any sort. Me. The person who has traveling the world since 2003! I have been sick ever since. I am in pain all the time. It never ends. It’s always there, waiting to escalate into a level of pain that leaves me hanging breathless on a cliff wondering if I should go to the hospital or wait it out. I have no energy. I have a definable number of hours during the day that I can be active. I prep for every aspect of my life. I’ve since been diagnosed with Fibromyalgia, ME, and Myofascial Pain Syndrome, but you’d never know it by looking at me. This flare has been the worst and longest of my life. I wake up every single day in a tremendous amount of pain. I’ve been in pain for 15 years. I don’t remember what life was like without pain. I started seeing the top specialist on AS in Taiwan since May 2015. By the time I got to him, I was in a very bad place. I was suffering from extreme anxiety and depression and I was barely able to function. I had been working half days for over six months, and my days at work were getting shorter and it was taking longer each day to get out of bed. He started me out on a lot of different medications to try and bring my out-of-control immune system under control. The side effects that I experienced from these medications were, at times, worse than my disease symptoms. I have had cortisone shots injected my spine and ribs. I have developed extreme multiple chemical sensitivities. In one case, I had an extreme reaction to a medication that almost killed me, and I’ve had to restrict my diet and the types of products that I use personally and what we use in our home. We were able to get my AS under control in a few months, and for a brief period last summer, I got better. A year ago it became clear to me that I had to be vigilant about the activities I allow myself to do each week in order to conserve energy and manage my pain. I’ve managed that for a year now. I rest for big events, plan for recovery days, and try to do what is best for me. But then I completely relapsed. My fibromyalgia has continued to wreak havoc on my body ever since. My doctor gave me my first confirmed diagnosis of Myalgic encephalomyelitis. In late May, I realized my doctor has no idea how to treat me. I didn’t respond to his treatments. He asked me to start branching out to a team of specialists. Then he dumped me. Doctors like success stories, not patients that never get better. I crashed again. This time, I was in the ER four times in six days. I ended up transferring from Veteran’s Hospital in Taipei to Tzu Chi Buddhist Hospital where I finally felt like I was getting the care I needed. My new team was astonished at all the meds Veteran’s had had me on, so the first thing they did was wean me off all the meds I wasn’t on and started treating me for pain. They thought I had been under-medicated for pain for years at Veteran’s and believed that my fatigue was related to me trying to push through everything with that pain. Eventually I ended up with a second confirmation of Myalgic encephalomyelitis. I wasn’t responding to treatments, so I received another diagnosis – Complex Regional Pain Syndrome (CRPS). Now I’m really not sure what’s true and what’s not. All I know is I’m a mess. My body seems to be a catch-all for everything related to pain and I have no idea what is wrong with me. Truthfully, I don’t think any of the doctors I’ve seen know either! In 2017, I started the year allowing myself to leave the house four times a week for no more than six hours. By July, the number of times I was leaving the house was three times a week. I stepped back from all my volunteer positions and cut back on my work. I had no choice because I couldn’t do it any longer. I missed my little sister’s wedding this month. I MISSED IT! I never thought in a million years that something simple like a flight home would be impossible for me to do, yet here I am and now I am desperately trying to cut everything out and anything that makes me stressed. This includes friends that ‘don’t get it’ or don’t understand what it’s like to have a friend who is sick all the time. By November 2017, I was leaving my house two times a week. It is hard to breathe. I don’t have any more than an hour on my feet now. I pack carefully if we are going out for the afternoon. I spent 29 days in the hospital in 2017. No one knows my body better than me. I wish doctors would make the effort to listen a little better to their patients. Think about what you’d learn if you just listened instead of dismissing my thoughts and ideas. I leave my house once a week for no more than six hours. I start pushing things at four hours. It’s May now. Something needs to change. I barely have any quality of life and stay home all the time. Perhaps 8 out of 10 is my new normal, but I am getting better at smiling through the pain. I know what Level 10 days are as soon as I wake up. My husband knows that if I say I need to go to the ER, we go. I have a lot of those days now. I still have lots of days when the tears never stop running down my face and those are the days I lock myself up in my room and prepare for war. I still wake up every morning and feel like I’ve been hit by a truck. It still feels like I am walking on glass every day, but I don’t have to work as hard to convince myself that it will be a good day. I maintain a positive attitude for the most part. I know that I have to take great care with my diet and sleep. I know that my body tests me to the limit every day and I know and recognize my limits. Whatever comes, I know that I can deal with it. Nothing is worse than what my own body puts me through on a daily basis. Because of this, I contribute to awareness campaigns for Ankylosing Spondylitis, Fibromyalgia, and ME to let others know that they are not alone. I am also involved with Walk Your AS Off and Walk AS One. I have captained a team from Taiwan called The Walking Spondies since 2014 and I helped to establish Walk AS One as a certified 501c3 non-profit by serving on its founding Board of Directors. I had to step back from that position in January 2018, but I was with them for four years – long enough to help turn a dream into a needed reality. These series of blog posts are articles that I’ve w ritten about the different types of alternative therapies I’ve tried since 2009 to give me some relief with my conditions. I am still searching for the right treatment for me. 2013 – Treating Ankylosing Spondylitis with Traditional Chinese Medicine – Dr Lee is famous for successfully treating a number of brain and spine diseases such as stroke and cerebral palsy. He has also been very successful in treating people with chronic autoimmune illnesses. This was not my first time seeking out help from a TCM doctor. I was treated with acupuncture in mainland China for AS complications in 2003, but it didn’t help. Here are some articles I’ve written on traveling and chronic illness. Walk AS One – Non Profit – Mission: WalkASOne mobilizes and motivates a global community to raise awareness and address the challenges of everyone affected by Ankylosing Spondylitis and its family of related diseases. Spondylitis Association of America – The Spondylitis Association of America (SAA) was founded in 1983 by people affected by spondyloarthritis. Their mission is to be a leader in the quest to cure AS and related diseases, and to empower those affected to live life to the fullest. I don’t know what I would’ve done after my diagnosis without the kind folks at this organization, some of whom I am now proud to call friends. Canadian Spondylitis Association – The Canadian Spondylitis Association (CSA) is run entirely by volunteers with Spondyloarthritis. They are a national association that advocates and supports those suffering from Ankylosing Spondylitis, Psoriatic Arthritis, and associated Spondyloarthritis diseases. National Ankylosing Spondylitis Society – NASS in Great Britain provides support, advice and information to people with AS. They are committed to keeping people as informed as possible about AS. Faces of Ankylosing Spondylitis – Cookie-Cheryl Hopper is one of our biggest AS advocates and she has done wonders to spread awareness about ‪#‎AnkylosingSpondylitis‬ through her Faces of AS website. Cookie’s original goal was to gather 1,000 faces to show that AS is not a rare disease. Now she is aiming for 2,700 faces. Looking through the faces on her site, it is clear to me that AS is NOT a man’s disease, nor is it a rare disease, although you will still find that many websites have outdated information about AS and list these two points as fact. Most of the faces I’ve seen on her Faces of AS project are women. AS presents differently in women, and this could be one of the reasons why many doctors still believe this is a man’s disease. AS health advocates like Cookie, Walk Your A.S. Off, NASS, the CSA, and many other organizations and individual health advocates for AS, are trying to change these misconceptions and educate people, including doctors. Cookie ‘s site is supported by the Spondylitis Association of America. If you’d like to read my story on Cookie’s site, go to AS Face number 1649. Fight Like A Girl – This site was formed for women that are battling cancer and other diseases. It’s a site for survivors and for loved ones to come together and to share stories and experiences, and encouragement. Men are welcome. Mission: To provide a loving, comfortable environment where women battling cancer and other life-limiting diseases, survivors, and loved ones can come together to share stories, experiences, advice, encouragement, and hope with one another.